One Day in Europe is a new feature of EFG’s monthly newsletter GeoNews. Each month we will travel to one of EFG’s national membership associations and discover their main activities and challenges. In February we visited Hungary. 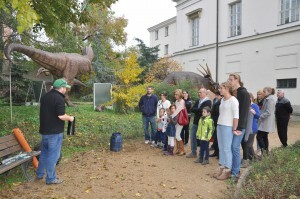 The Hungarian Geological Society (MFT) was founded in 1848. 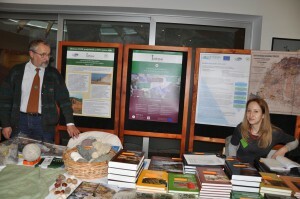 Its aim is to represent the interests of geologists, to promote continuous scientific and practical training of geoscientists, to study and to safeguard the cultural heritage linked to geological exploration and mining, to discuss the initiatives and proposals of the members, and to forward them to the decision makers. How many members does MFT represent? 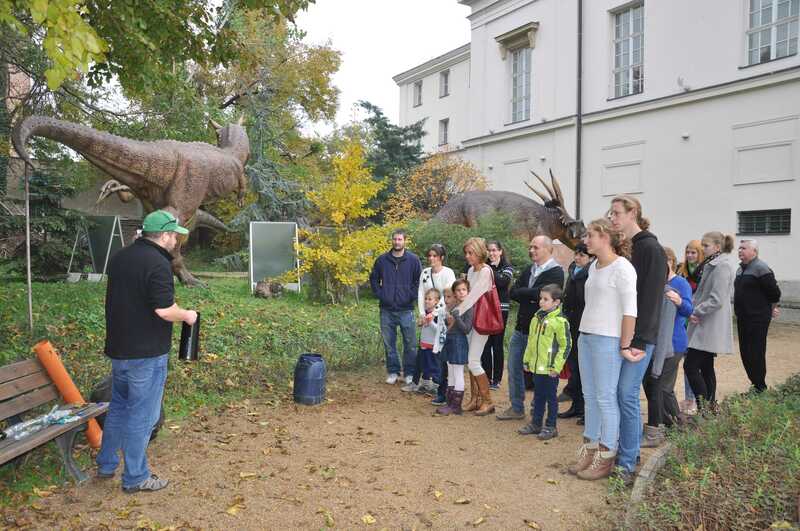 How did your membership evolve over the past few years and in which field of geology do your members mainly work – The Hungarian Geological Society (MFT) is among the oldest scientific societies in Europe, it was established in 1848. MFT represents 326 student members, 233 retired members, 620 full and active members, 35 other members (honorary, etc.) and 10 institutional members (sponsor companies). The time-wise trend correlates with the economic demand and social awareness for geology. The highest membership figure is from the 1982 with 1700 members as the peak. This period was followed by a continuous decrease until 2010, when the figure dropped to 1000. The new Board in 2012 invented a new programme for raising the interest in our Society, and as a result, now we rely on the support of all 1214 members, with different status, of our Society. How is your association structured? – The Society has a Presidential Board (President, first co-President, 3 co-Presidents, Secretary General, Secretary) which is supported by an Executive Manager, and an Associate Manager (full time employees) – see photo of Zoltan Lantos on the Board below. As a kind of supervising, and advisory body, there is the Council of 24 (+14) elected members. However, the major legitimate decision-making body is the Annual Assembly of MFT which is to elect the members of the above bodies and to make decisions in the very core issues, such as the amendment of the statute of MFT. and in the 5 regional branches of MFT. What was MFT’s main achievement in 2015? – We are about to accomplish the digitization of mostly all our periodicals and these are uploaded on several websites, e.g. on http://epa.oszk.hu/01600/01635. We continued our successful events which have been organized by our thematic sections in a series of many years, such as the Annual Convention on Palaeontology, Annual Convention on Petrography, Winter School on Mineralogy, First Presenters’ Contest, Annual Symposium on Geomathematics, to mention a few, each of them attracting 50-150 participants. What concerns our international events, the 6th Workshop on the Neogene of Central and South-eastern Europe with 80 attendees worth mentioning. What will be your focus for 2016? – MFT, the Geophysical Society and the Mining Society have an agreement that we have a joint National Earth Science Conference every year together, however, with a rotation of the major organizer. This year MFT is in charge of managing this important event which is usually attended by 150-200 participants. The income that remains after all, help us a lot in maintaining to covering our administrations costs. It also helps us in providing financial support to our student members in organizing joint university summer mapping courses, and there also diverse direct financial awards to our young members. What are currently the main challenges for your association? – The main challenge for 2016 is to lobbying for the survival of the Hungarian Office for Mining and Geology and its satellite institution, the Geological and Geophysical Institute of Hungary. Both entities do support MFT directly and indirectly, such as providing venue for workshops free of charge, being frequent co-organisers of our conferences, and a significant number of our members are the employees of these entities. Due to the Government’s plans with regard to the public sector reform, these emblematic organizations are threatened by significant restructuring, and as a collateral feature, it can bring cuts in budget and employment as well. MFT, together with 9 other geoscientific NGOs, established the Community of Geoscientific Civil Societies (“FÖCIK”) accounting ca. 10 000 members. The well articulated, and justified position of FÖCIK can, and hopefully will be an important factor for politicians when making their final decisions in the above issue. Otherwise, our cash-flow, annual balance and asset portfolio is adequately healthy, we operate our secretariat in an apartment which is our own property. Do you promote geology towards society? If yes, how? – Our major target group is the young generation. The most important annual action in this direction is the organisation of the 1-1 Earth Science Weekends in Spring and Autumn attended by 3000 kids, students and adults (see photos by Tibor Cserny). Every year we organise the Summertime Mapping Course for university students, the First Presenters’ Contest for students and fresh graduates. 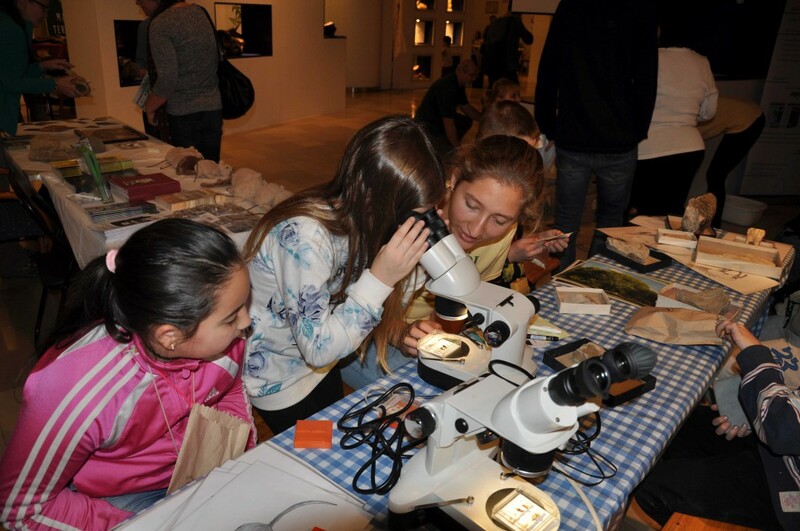 A recent initiative in 2015 for the wider public was the public poll on the Fossil of the Year, and the Mineral of the Year which attracted 7500 votes. In 2015 these were the Nummulites, and garnet, respectively. In 2016 we try to introduce the Raw Material of the Year contest, hopefully with similar success. We also publish books designed for the public, such as one on the famous geological sites of Hungary. However, our activity on the electronic media surfaces must be improved significantly. In Hungary, a certain segment of society still watches television, and morning radio channels have also significant impact on listeners. As well, beyond running and updating our website (www. foldtan.hu), other internet channels (Facebook, Twitter, etc.) could have much been utilized by us. In this respect the Board of MFT relies a lot on our student members. Are you in contact with decision makers at national level? If yes, in which field? – MFT is registered at the ministries which supervise the economic sectors relevant to geological knowledge base, such as the Ministry of National Development in charge of the extractive industry, and the Ministry of Rural Development in charge of soil management, environment protection including water quality. MFT is frequently approached by Hungarian Office for Mining and Geology for its different contributions, almost every year we organize joint conferences and short courses. One highly successful event of this kind was on the benchmarking of international and national minerals classification and reporting systems which attracted 150 attendees. How would you define MFT’s relation with EFG? – MFT always had very strong links with EFG from the very beginning. Peter Scharek was an active delegate of MFT to the EFG Council for two decades, and our former president Steve Berczi was the President of EFG between 2005-2007. In recent years Eva Hartai contributed significantly to the successful education policy and H2020 projects capacity building of EFG as the Board member, and myself followed her as the external relations officer in 2015. 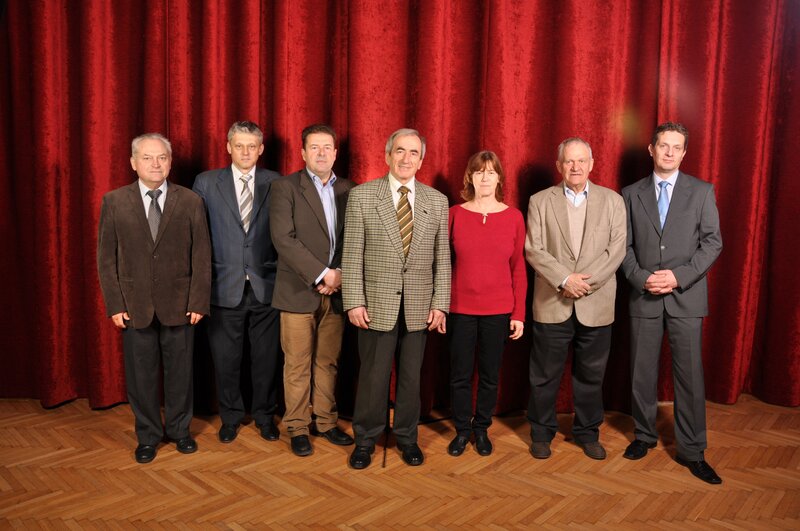 MFT organised Board meetings and Council meeting in Hungary, and also hosted a joint EU TAIEX – EFG – MFT multi-country workshop in Budapest in 2006. 3 of the 9 EFG expert panels have Hungarian leaders (Panel of Experts on Oil and Gas; on Geothermal Energy; on Education), and Éva Hartai is the chief editor of European Geologist. 17 members of ours are chartered eurogeologists which number must be increased in future. MFT is naturally allied to EFG, in our view EFG is the body, which enshrines the realisation of the pan-European co-operation within and beyond the borders of the political European Union. The aggressive and successful lobbying activity performed by the Board of EFG in recent years brought a higher prestige to EFG and its member organisations. However, the hard part of the job comes now by delivering high quality added value professional opinions and H2020 related R&D&I and PR outputs on the long term. What would you like the other EFG membership associations to know about MFT? – We used to refer to our 168 years history and the successes of the heroic past but tradition is not the winning terminology for most part of the society in the 21st century, especially not for the young generation. Having this in mind we are trying to have an outreach to the widest possible stakeholder spectrum. 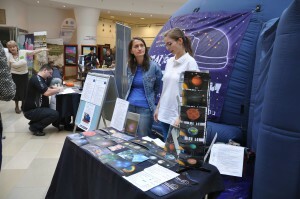 As presented above, our annual public events are attended by thousands, as well, the number of our website visitors is increasing steadily. However, the role of our members working at universities and high schools is of paramount importance in recruiting our new student members. 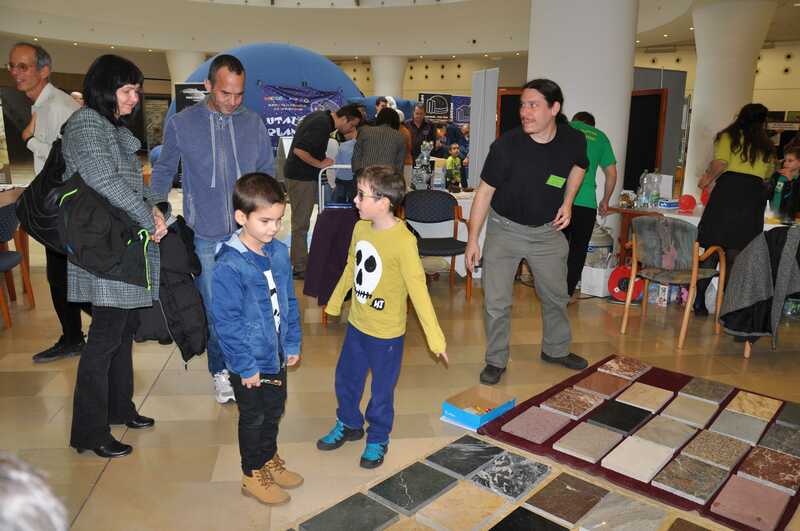 In this respect, it is also worth highlighting that MFT has close links to the Hungarian Natural Sciences Society which organises the elementary school geography and geology competitions accredited and acknowledged by the Government. The vivid scientific activity is a traditional attribute of MFT, however, it also had ups and downs in our history. In recent years we experience an intensive scientific activity with a flooding of different events which is becoming a challenge to cope with for our managing secretariat. Is there any experience/good practice from MFT that you would like to share with other associations? – Our challenges and solutions might be rather common therefore innovative ideas and proven best practices are always welcome on our side. What I would highlight and draw attention to is the need for the reinforcing our efforts on national and on international level as well. Within a given country there are several societies and NGOs which are going for the same objectives and collect funding from the same sponsors. This kind of competition is healthy but it is also useful to explore and exploit the existing synergies of these entities in order to have a higher societal and political impact along mutual interests. This is the kind of consideration along with we established FÖCIK in Hungary, the usufructs of which we already have started to collect and benefit from. On international (pan-European) level in our view EFG is the similar “instrument” if I may say so. Nevertheless, we understand that the size, membership composition, finance framework, historical traditions, and statutory or legal conditions may vary a lot across EFG member associations. Having this in mind, the task is to find the common interests. What would you like to know about the other EFG membership associations? – It would be helpful to continue with this given series of interviews, but it might be also useful to do a more structured and governed benchmarking exercise periodically, similar to what EuroGeoSurveys does, in order to see and compare each other’s core functions, membership composition, decision making procedures, public outreach best practices, etc. This is relevant not only for ourselves but for the EFG Board as well, not forgetting about the likely aspect that with the increasing prestige and acknowledgement of EFG as a pan-European organisation by EU Community institutions and high panel personnel it is becoming a urging must to have a reliable database at hands in the EFG Board whenever EC decision makers may ask for such a quantitative proof and justification in the future when justifying the relevance of involving EFG in certain policy making and R&D&I actions. In your opinion, how could EFG improve the knowledge about the activities carried out by other associations? – The present set of interviews will help mutual understanding a lot. Differences that exist among our societies are not barriers, instead, they add to the broad spectrum of our pan-European professional competences. However, it is EFG to find the least common denominator of its member societies’ mission, to develop the strategic and operational platform on basis of which all interested present and future members can live with and progress along. The Board of EFG can rely on the active support of MFT in this direction. If I may add, in spite of using plural in my answers above, this interview reflects my personal views and not necessarily the corporate position of the Board of the Hungarian Geological Society.